The Georgia Industry Environmental Coalition (GIEC), formed in 1992, is a non-profit membership organization of environmentally-regulated businesses in Georgia. Its members form a diverse group of industries with the shared belief that environmental regulations should, and can, be both protective and cost efficient. 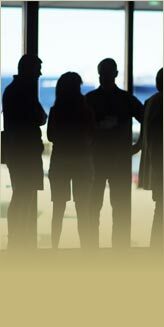 interact and network with professional colleagues. The basic purpose of GIEC is to identify and collectively address specific Georgia environmental issues of mutual interest to the membership. GIEC membership is open to business corporations with environmental compliance and/or remediation responsibility for a site or facility located within the State of Georgia. GIEC is led and directed by a Board of Directors elected annually by the general membership. Through its member companies, GIEC works closely with other industry groups such as the Georgia Chemistry Council; Georgia Association of Manufacturers; Georgia Paper & Forest Products Association; Georgia Association of Water Professionals; Georgia Chamber of Commerce; Georgia Mining Association and Georgia Poultry Federation. If paying 100% of annual membership dues by credit card, click BUY NOW button below.